* 1928: First recording of The Eyes of Texas and Texas Taps (“Texas Fight”) – Performed on Sunday, May 20, 1928 in San Antonio, and meant to be played on a Victrola, this is the earliest known recording of these two longtime University traditions. 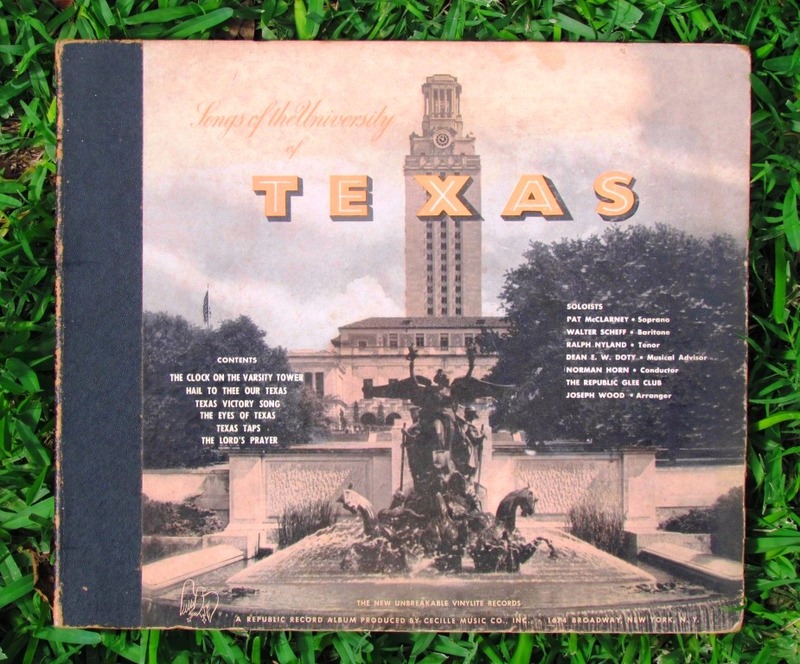 * 1948: Songs of the University of Texas – a collection of UT songs recorded in New York. 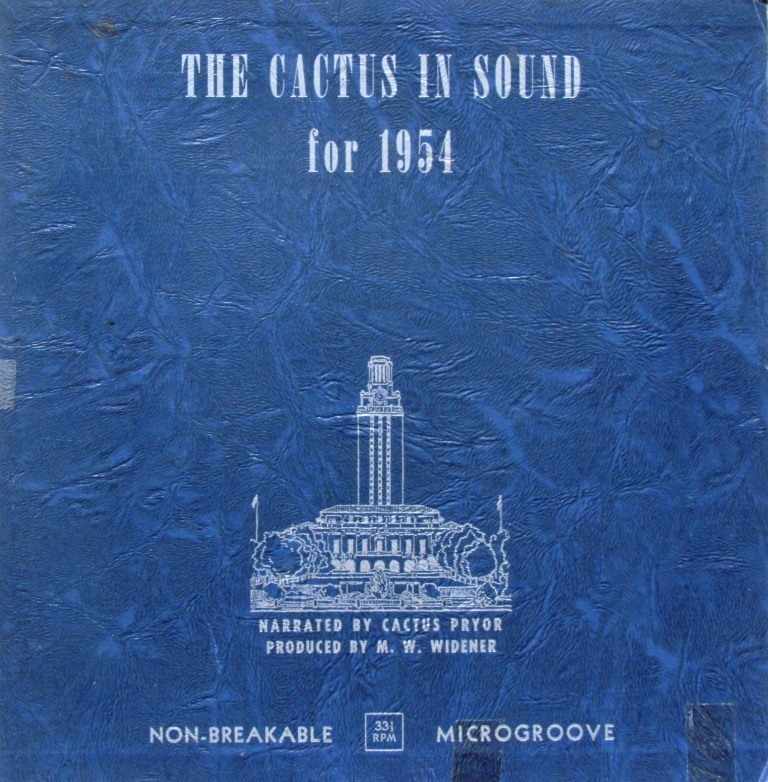 * 1954: The Cactus in Sound – an “audio yearbook” of campus life in the 1953-54 academic year. * 2007: The Big Yell! Some of the oldest UT cheers, recorded at the first Big Yell event.